Our new Battlax BT-023 doesn’t just go further to deliver outstanding sports-touring performance… it goes mile upon comfortable mile further… In short, the BT-023 is designed to deliver outstanding mileage and a whole lot more. . Things like greatly improved wet-grip, low-noise, light-handling, sharp-braking and superb shock-absorption to make smooth work of the toughest trip. 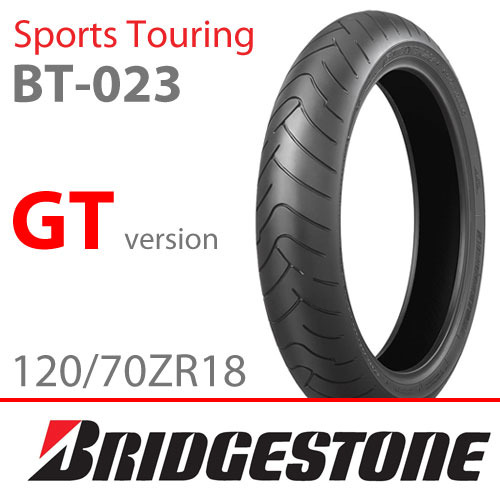 Features that make it easy to see why the BT-023 is destined to become the ‘must have’ tyre for today’s touring bikes... and selected sports bikes too Or, to put it simply, if you ride a bike like a Blade or a GSXR1000 and you want outstanding grip, remarkable handling and rock-solid, high-speed stability... you got it!Such performance is hardly surprising when you look at the BT-023’s heritage… following in the tracks of the legendary BT-020/021 and with all the technological advances you’d expect from the world’s leading tyre manufacturer. Advances like Mono-Spiral Belt, 3LC and Silica Rich Ex construction and, probably the most significant advance of all, RC Polymer. Without getting too technical*, this is a rubber designed to give a better silica distribution to improve tread flexibility for enhanced wet and low-temperature performance and grip. 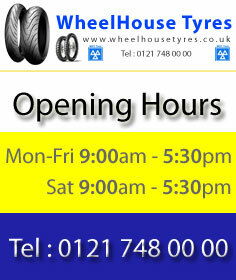 The technology also gives improved rolling resistance to reduce fuel consumption and tyre noise. 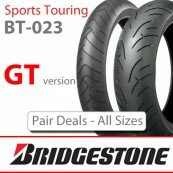 Trust Bridgestone to go further to deliver a sports-touring tyre that leaves the competition miles behind.